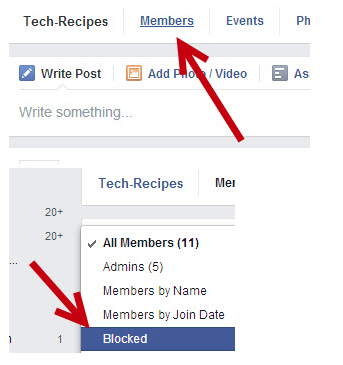 If you have accidentally blocked someone from your Facebook group or if you want to reverse a ban that you have made in the past, the steps in this tutorial will help you. Continue reading to find out how. 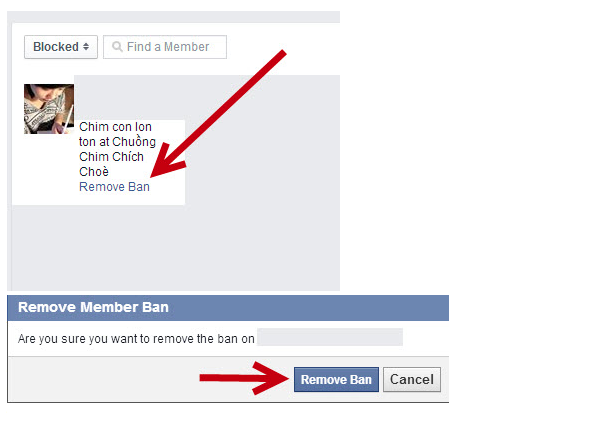 Banning someone from a Facebook group will permanently prevent that user from accessing the group. In order to add him or her back to the group, you have to remove the ban first. Only group admins are able to remove a ban. 1. In order to unblock someone from a Facebook group, sign in to Facebook using the account you use to manage the group, and then navigate to the group using the left sidebar. By default, Facebook does not show all of the groups that you have joined or managed. If you cannot find the group you want, click More to access the full group list. 2. Once you are in the group, find and click on the Members tab. This tab is a hub for accessing information regarding all of the group’s members. 3. When the list of members shows up onscreen, click the All Members button near the search box to see more options, and choose Blocked. 4. Clicking the Blocked option will filter out all the group members but the ones you have blocked. Here, you can find a list of all Facebook users that you and any other admin have blocked from the group. No matter when you blocked them, Facebook will still keep a list of blocked members for you. To find the member you want to remove from the list, use the Search button near the Blocked button. To lift the ban for that particular user, click the Remove Ban link near his profile picture, and then click Remove Ban again in the pop-up window to confirm. 5. When the user has been successfully removed from the list, you can search and manually add him back to the group as if nothing ever happened. I tested it yesterday. Had a friend leave secret group and check "don't let someone readd me". I then sent the link via a pm. They were able to request to "Join Group" from pc (they won't see all of the group but the "Join Group" button will be there). It works on a mobile device only if they use the browser (if they use the app, it will open the browser and they have to be logged in to FB). Not sure if they have to be your friend to send the link for them to do this...but they have to be a former member.